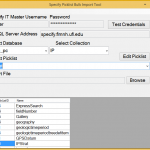 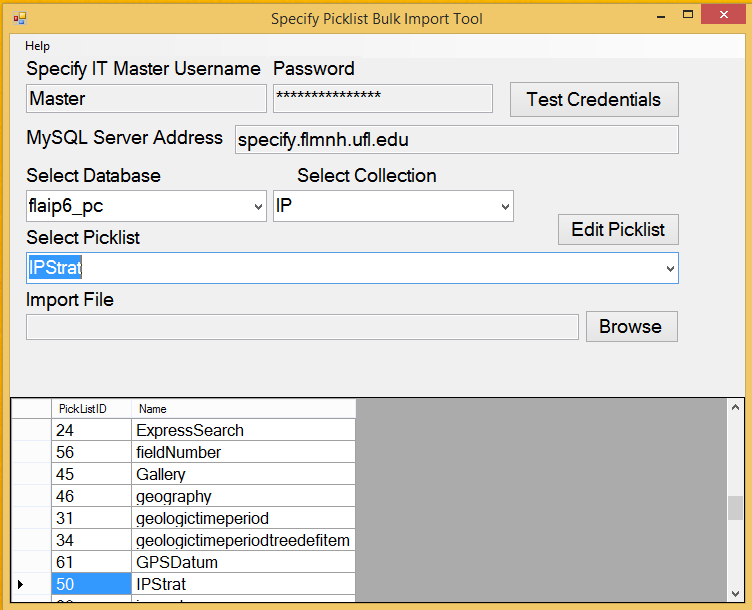 The Specify Picklist Tool allows bulk import of picklist from a CSV file. 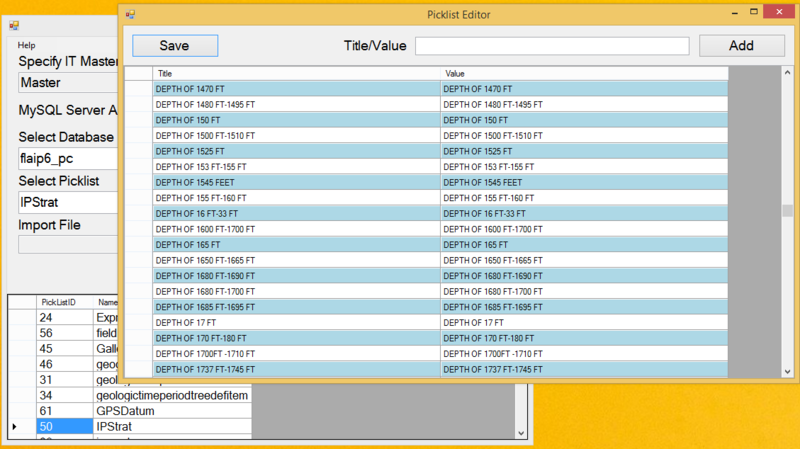 The tool also provides editing of picklists using a datagrid, which is a must for large picklists. 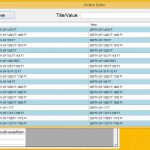 The current editor built into Specify allows you to see only one pick list item on the screen at one time.